Kritters Thoughts: Cuba is on the short list of places I want to visit and after reading this book, it completely remains there. A country that almost had the pause button pushed on innovation and infrastructure and has survived through many a men with differing opinions on how to move the country forward. 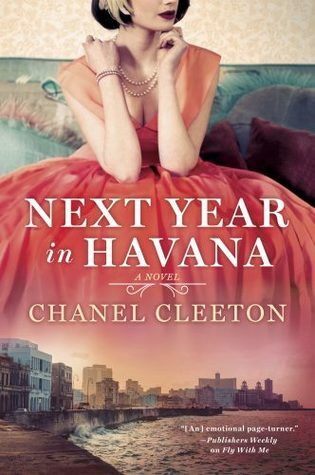 I have never read a book set in Cuba and after reading this one, I am going to seek out more! A dual narrative with one taking place in our current day of 2017 and the other 60 years ago when Fidel was coming to power and the people of Cuba were wondering if this change of power would be a good move. I loved the reason that Marisol goes to Cuba, but I wish her grandmother had left her more than a box of letters. I didn't love that I was reading the full story of Eliza while Marisol was getting a very edited version, I had to remind myself that Marisol didn't know everything I did, wish we were discovering things together. All in all, I completely adored this book. I would love to read more fiction that takes place in Cuba to learn more about this country both in the time frames presented here and more. Have you read any really good fiction set in Cuba? What is a country that you would love to dive into a fiction story of?